You are unlikely to see this message because I suppose you must be revising for your "selectividad" exams but I just wanted to wish you GOOD LUCK. Discrimination exists everywhere; in school, in workplace… Even it is about white or black people, men or women,… In my opinion, discrimination seems to be indispensable for people because narcissism and individualism are the strongest points from human specie. First of all, women have been discriminated for years and this nightmare hasn’t finished yet. In the past, they were considered to be like an incubation machine and a “mother”, so they were displaced from workplace. Nowadays, there are some people who think that women aren’t incompetent for certain jobs and, what’s more, there are some bosses who fire their pregnant employers. 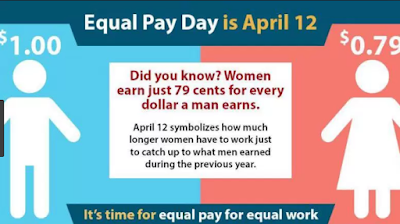 However, women aren’t the only ones who are discriminated in workplace, because there are lots of businessmen who hire illegal people and take advantage of them as they pay them a little salary and make them work for many hours. To sum up, discrimination exists in workplace and it should be over soon, even though the expectations are negative as discrimination is a good way for bosses to make a profit of their businesses. I suppose you are very busy preparing for the selectividad exam, but you mind posting a few more descriptions of a place? I need them for the Comenius Blog. 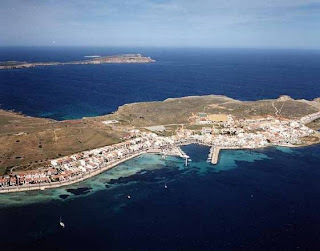 The place, that I will describe now is the Fornell's Bay, situated on north coast of Menorca, it's a peaceful place and a fishing region, this bay is one of the biggest harbors in Menorca, it's 5 km long and 2km wide. Around the bay are small beaches, like Sargantane's island. In my opinion it's one of the bests places in Menorca, I go every summer many times, sometimes I do some sport or just go for walk, other times I go with my friends and take a yacht and we do wake, an aquatic sport, Fornell's bay is the best place to do it because you have a lot of space, it has a deep sea and it's never dirty, the majority of times i've been it was crystal clear. The Fornell's bay is a big zone where many people take advantage and do all types of aquatic sports, kayaking, diving, windsurfing, when you walk around the zone you can see so many persons practicing them. They aren't many buildings, it's a natural place where you can enjoy the landscape, but it's a tourist place too, and if you go you can see several hotels. The advantage is that once people go, they normally come back another time, and many people who live there know each other, beacause of that it's a peaceful place, if you want peace, Fornells is your place! When you walk near the sea you can smell the typical smells of the place, like the salt, or fish, you don't hear anything, only the sounds of the sea and the murmur of the people in the distance. 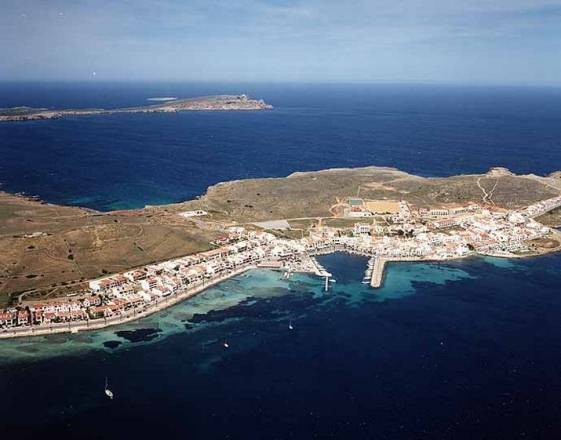 Another fact to enhance Fornells is the excellent gastronomy that it has, all the restaurants are excellent quality: you can enjoy good food for a reasonable price. In conclusion, people like Fornells for how peaceful it is, the great sights, the fabolous things you can do there, t'is an ideal place to go on holidays, you can't forget it once you go, you definitely will come back, come on, ¡Go for it! Nowadays the new smoking law is being mentioned by everyone. This law is causing a lot of headaches because neither all smokers nor some non-smokers like it. In my opinion I’m one of those who think that this new law is stupid because the only thing that the government will achieve with it is to harm bar as well as disco owners, and all those who own places where you can’t smoke now. One of the reasons is that they are losing a lot of clients because if they can’t smoke inside a bar they won’t probably go to that bar. Another reason is that some years ago the Government passed a law with which bars had to prepare a special zone for smokers if they wanted to have smokers in their establishments. Therefore a lot of restaurants had to pay a lot of money to separate their restaurants into smokers or none smokers’ zones and now they see that all the money that they had spend has been wasted. In conclusion, for me, this law is a law that threatens freedom and an insult to the business. Communication technology is very important in your lives today. people are used to using this technology and they wouldn't know how to live without it. But this communication has advantages and disadvantages, one advantage is that everyone can contact with everybody and this makes jobs easier. In my opinion, there aren't many negative aspects, i don't think to be all day speaking on the moble is good, ever for your health, they broadcast waves which can harm your brain or cause some kind of cancer. The "camp de Mars" garden and the Eiffel tower are situated in the 7th district in Paris,France. During the day this place is very beautiful because of the garden, and because those Parisian symbols are situated next to the Seine river. I heard people who said that the Eiffel tower is only a lot of iron and they say that it's very ugly... I don't think so, because when you are on the top you can see one of the most beautiful citiesto 300 meters high. You can see the river, the garden and a lot of things under your feet while you are drinking a glass of French champagne which cost 10 euros only one glass (and they only fill half). The weather in Paris is more or less like in Spain. I went in March , so the weather was a little bit cold sometimes but in general we had fine weather. In this city, there are a lot of enormous gardens like Versailles, Champ de Mars, etc There are a lot of monuments, museums (louvre, Orsay,...) and important places which are always full of people. The best moment to visit the Eiffel tower is, obviously at sunset and at night, because you can see a very beautiful dusk and all the city lights. Then , when you go down, you can see the tower lit too. Then, just in front you can buy cotton candy in a little Fair, which the place with this sweet smell. Also you can buy souvenirs for your family and cheaper than in shops, because just under the tower there are a lot of immigants who sell souvenirs. If you walk a bit more you go to a viewpoint, only a few minutes of the tower, where you can see the garden and the Eiffel tower perfectly, this viewpoint is ideal to take photos and buy more souvenirs. Paris is famous because it's a magic city, which a lot of people call ''the city of love'', full of monument , beautiful places and a very interesting history. Maybe the french are not always very nice, but their city is one of the most beautiful , for that reason I think nobody should miss the oportunity of visit Paris and the huge Eiffel tower, a monument which every tourist should see. A lot of times people can't avoid eating snacks , fast food or unhealthy food because they like it, but we have to be concious that this type of food is very bad and dangerous for our body and health. I'm not talking about eating only vegetables , I mean that wehave to get used eating healthy food, like vegetables, fish, meat, fruit, etc. and eat sweets , snacks or chocolate with less frequency. We only have to follow the food pyramid, in which we can see what is recomended to eat and how many times, it says that we have to eat mainly cereals, bread, pasta, vegetables, fruit, meat, milk... And sugar or snacks only sporadically. Sometimes it's very difficult to follow this type of advices, but our body will thank us, because we will be more healthy and have confidence in ourselves. SHOULD MEN AND WOMEN SHARE HOUSEWORK? IS OUR SOCIETY TOO OBSESSED WITH PROBLEMS OF WEIGHT AND FITNESS?